An Air Force unit is willing to pay more for iPhones than they cost in stores and online, but the story is more complicated than a simple case of the military buying the most expensive hammer in the world. The 48th Fighter Wing in Lakenheath, England, has asked vendors how much it would cost to order 120 iPhone 5s for the wing’s commanders and other essential personnel to replace their BlackBerrys as government-issued phones, said wing spokesman 1st Lt. Keenan Kunst. The wing estimates that the phones will cost $82,518.34 in total, or about $687 per phone. An unscientific online search showed that the new iPhone5s can be purchased for between $450 and $500 at Walmart or Amazon.com. However, vendors often offer iPhones at a chepaer price in exchange for a service contract, negating most of the savings. The actual price for each phone has not yet been set because the unit’s contracting squadron has not received any quotes from companies, Kunst said. The contracting squadron was required to estimate how much the phones would cost in order to justify buying a name brand, but the phones may end up costing less. Sorry to say, but this article is comparing apples to oranges. 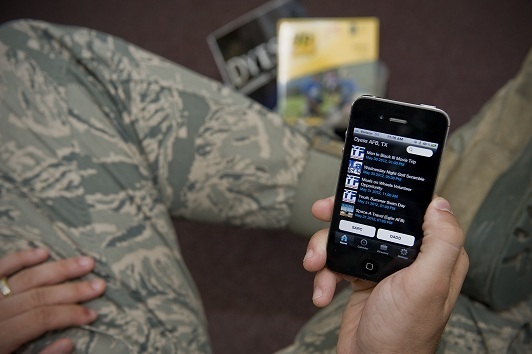 The Air Force is more than likely buying iphones without a service contract. The cost for an iphone 5s without a service contract ranges from $649.00 to $849.00. If you include tax of about 5.9% the Air Force seems to be paying around market value for the phones and not a penny more. And, they are basing the $687 per phone on an Independent Government Estimate. They are often over marked to cover worst case scenarios and negate the hassle of having to commit more funds to the purchase request… especially this time of the year when every single dollar is fought for.